Today you’ll arrive at Juan Santamaria International Airport in San Jose where your friendly Green Frog Adventures Guide will be waiting to transport you to your first exotic destination. 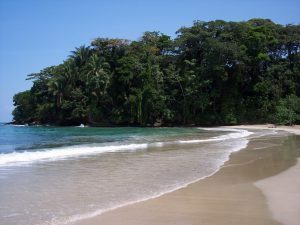 Manuel Antonio is one of Costa Rica’s most beautiful beaches and you’ll be basking under the tropical rays on the white sandy beach and swimming in the warm, crystal blue-green Pacific in no time at all. Today is yours to relax and recuperate from the previous day’s travels. Enjoy the hotel pool and the rest of the luxurious amenities. 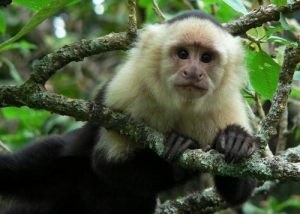 Or, if you are feeling particularly spry, you can do a guided hike through Manuel Antonio National Park. 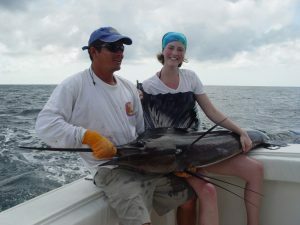 Spend the next few days doing some of the best deep sea fishing in the world. 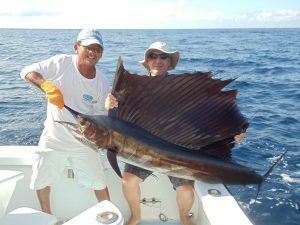 It’s not unheard of to pull in sail fish, a marlin or two and a ton of other tough game fish all in one day! One thing’s for sure, after three days hauling in these monsters, you’ll be one tired angler on the flight home! Today, after a delicious breakfast and a hearty farewell, we’ll start making our way back to San Jose to catch your flight home the following day. 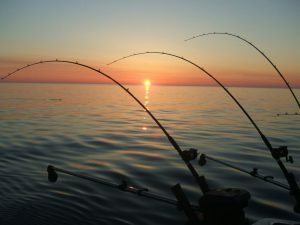 The evening is yours to exchange fish stories about all of the trophies that didn’t get away! !